Released in January 2019 is this double 5" CD, featuring two shows from October 1974. Both shows are previously unavailable from a soundboard recording, officially or not. FTD claims to release the October 2nd from St. Paul, Minnesota. Most likely it is the show from next day, October 3rd featured here. 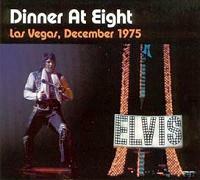 A double 5" CD release featuring the midnight show from December 13 (CD-1) and a mix of both dinner and midnight shows on December 6, 1975. 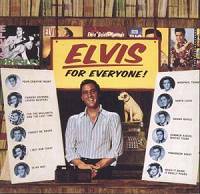 The first soundboard release ever sporting an Elvis concert was Just Pretend. A fantastic experience to listen to, something quite different from the official releases at the time. But with comparable sound quality to the official products, and miles better than most audience recordings found. 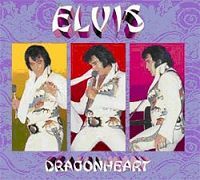 I guess that most Elvis fans today have similar found memories of this bootleg. So, more than 25 years later the same show is released officially, more or less in the same sound quality. It is still a good listen, although not as much exciting of course! CD-2 focus on one week earlier, not a complete show, rather a blend of the dinner and midnight show. Ah...and spiced with Omaha 1974 ('Opening Riff' and first portions of 'See See Rider'). 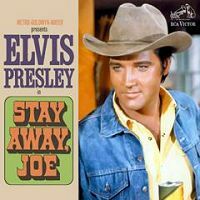 Both shows feature a less energetic Elvis and in poorer sound to top it of. The decision to use a show from 1974 to make it "complete" is really messing with history. There are available the same portions of this spesific segments from the same season, so it was not mandatory. I find it likely that it is a matter of some kind of laziness. That said, it fits quite well technically and it is a good job done in this respect. This time featuring two midnight shows from August 11 and August 12. Both shows have been available on the bootlegs marked in very good sound quality. Good quality found also here, the August 12 show (CD-2) have never sounded better! 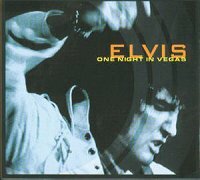 The (almost) complete 'Viva Las Vegas' session on a 3-CD set. It includes more than an hour of previously unreleased material, including false starts, break downs, and complete takes! All tracks have been remixed and mastered from the original 3-track session tapes. The 8"x 8" slipcase replicates an original Session Reel box. Including a 28-page booklet with rare photographs, memorabilia, session notes and movie trivia. Outtakes from February 1970. Most versions are a little below in performance quality compared to the official used versions. 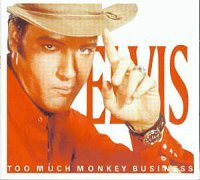 Mostly due to caughing problems, but also lack of full commitment from Elvis himself. The sound quality is good, though some might argue about the mix used on these tracks. Released as a 5" digipak. A double concert release from Omaha, Nebraska, June 30 1974. Released as a 5" digipak. Elvis is in good shape on both shows and the sound quality is good. FTD has earlier released the July 1st show from the same venue. Found on Fashion For A King. A double concert release from March 1974. 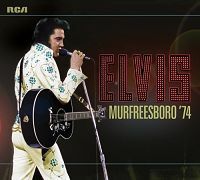 Both shows are from Murfreesboro, March 14 and March 19 respectively. Released as a 5" digipak. 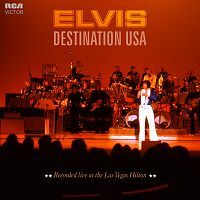 Elvis is in great form on both shows and the sound quality is - as expected - very good. 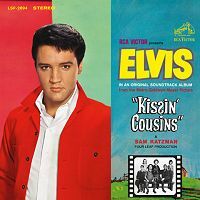 The Classic Album verson of 'Kissin' Cousins'. A single CD release only, but still some added extra. Released in December 2017. 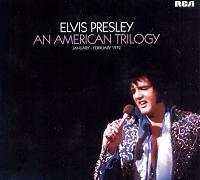 The sound quality is amazingly good, though most of the previosuly unreleased content is withouth Elvis' involvement. A pity, but still interesting. The sound quality is very good on both CD's. 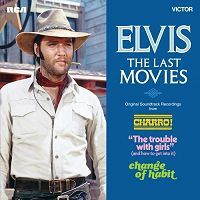 A Classic Album version of the three last movies (not counting TTWII and Elvis On Tour). Released in October 2017. Not much of interest here, unless you really dig 'Almost'. I do not, but nevertheless, 16 new takes are featured here. A double soundboard release. Both are dinner shows from Lake Tahoe May 25 and May 26 respectively. 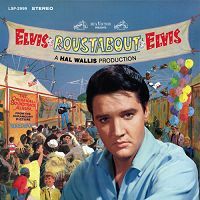 The Classic Album version of Roustabout. Only one CD this time. Released in July 2017. There is little new material of interest on this CD, but still a worthy addition. The master tracks are available also in re-mixed version, clearly better sounding than the released masters. The complete overdub session for the title track is made available. A double soundboard release. Both shows are from Omni Coliseum in Atlanta, April 30 and May 1st respectively. 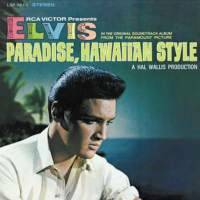 It features Elvis in a well-known spring/early summer mood. The sound quality is good, although the soundboard mix is a little unbalanced. A double soundboard release. Both shows are from August 20 1974. The general consensus is that CD-1 feature the midnight show, while CD-2 sports the dinner show. Opposite of what FTD says. The sound quality is good on both CD's. 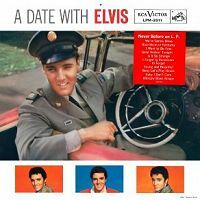 The classic album version of 'A Date With Elvis' was released in March 2017. CD-1 feature the original album, plus bonus tracks. Among those are the complete binaural session of 'Is It So Strange'. 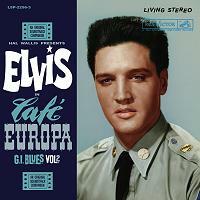 The second CD contains home recorded material from Bad Neuheim, Germany (1959). Some of it has been out officially before, but the complete tape was first released on a bootleg called Greetings From Germany. 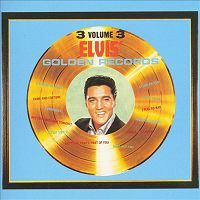 Released in October 2016, this double CD springs out from Elvis' Golden Records Vol. 4. First out is the original album, then some outtakes not previously released officially. CD-2 contains the original album in mono. One of the lesser interesting albums on the FTD label ever! But a necessary step to get to Vol. 5, which could prove much more interesting! 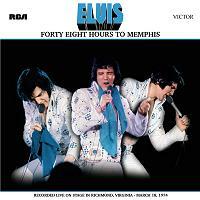 About time, the Memphis show from June 10 1975 is released on FTD! Coupled with a new soundboard from March 17 1974, in the same venue. The June show from 1975 was first released on a bootleg called Let Me Take You Home, one of the most popular bootlegs ever. The label DAE released the show in a classic "DAE sound", here FTD release the show without any added ambience. The March show from 1974 holds the same class as we have already gotten used to long time ago. Interesting with a new show from this tour. 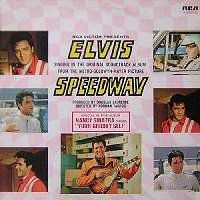 The classic album version of Speedway. Presented on 2 discs, a salute to the mono lovers. Released in June 2016. It doesn't get much worse music wise than whats found on Speedway. A collection of mostly low-par songs, with some bearable in between. We get some outtakes of the bonus tracks found on the original album. 'Goin Home' represents a few of those outtakes, most of them are of 'Mine'. Also - for the first time - we get the movie master of 'Your Time Hasn't Come Yet, Baby'. CD-2 is the original mono album. It is approx. half as bad as the stero version on CD-1. Finally on the FTD label, the March 22 show from 1975! Coupled with the dinner show from a good week later, namely April 1st. 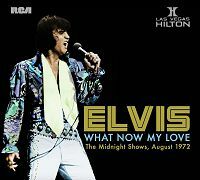 Elvis was almost at his best during this Las Vegas season. Especially the March 22 show is great. 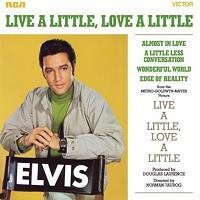 Elvis is relaxed, harmonic, happy and focused. He sings good all through, listen out for his live versions of the recently recorded "Today" tracks. 'And I Love You So' is flawless, 'Fairytale' is very good and 'Green Green Grass Of Home' is even better than the studio version. 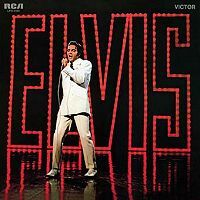 On this show Elvis also adds 'You're The Reason I'm Living'. A nice version, most likely rehearsed, although hardly extensively. The April 1 show on CD-2 is good, also. 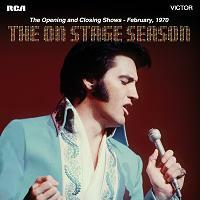 However, it seems that Elvis was better early in the season. He was probably most fitted then, after a long break and a "clean-up". 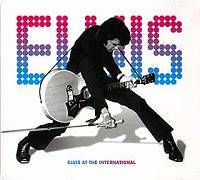 A classic album release of Elvis TV-Special out in May 2015. 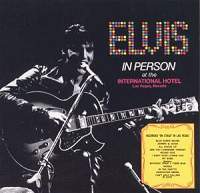 CD-1 contains the original album as released in 1968. 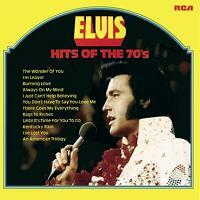 Added are other songs that were released on several different albums, mostly during the 70's. CD-2 contains mainly production numbers, most of them already available on other FTD albums. All in all quite little new material on this double CD, but the sound quality is perhaps the best so far. Another double CD containing 1976 concerts. This time the focus is on the November tour. Released in March 2016. CD-1 sports the second show that year in Cow Palace, Daly City, California. The first show has been out on several bootlegs and is incomplete. Unfortunatley this also applies for the second tape. Recorded in binaural, the sound quality could be great, although the bootleg releases from the first show are a little muddy. CD-1 also sports five bonus tracks from Eugene, both the November 25 and November 27 concert. First attempt of artwork was axed right before release, replaced with another one of basicly same ingenuity. 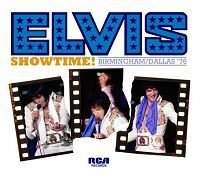 Out in December 2015 is this double CD containing both shows from September 6 1976 in Huntsville, Alabama. The Afternoon show is previously unreleased from a soundboard source, while the evening show has been out on several bootlegs, first on Still RocKING The Nation. Judging by the bootlegs, one can expect very good sound from both shows on this new release. 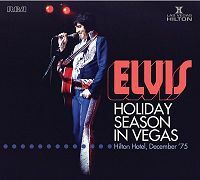 Elvis sings 'That's All Right' (both shows) and 'Blue Christmas' (evening) while playing guitar. 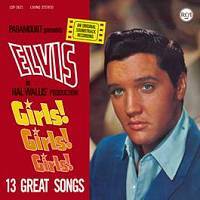 Released in December 2015, this is a double CD springing out from Elvis Golden Records Vol. 3. Released November 2015. Even though it features only 4 songs one one disc, it is one of the releases from FTD with highest amount of unreleased material! Take 2 of 'A Little Less Conversation' is the same vocal as found on the acetate first released on Memories and later used for the massive remix hit early this century, although later vocal repair was needed. Some parts of take 2 is missing, due to tape problems. The full story of this take and the later acetate is yet to be revealed! FTD likes to add "Texas" to their titles...This evening Odessa show, yes from Texas, is previously unreleased in complete form. FTD used 'Love Letters' on their Tucson '76 release many years ago. 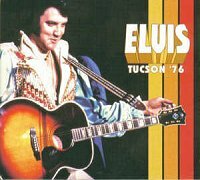 'See See Rider' is taken from the afternoon show the same day, and was also released on the mentioned Tucson '76 CD. 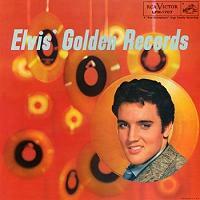 This is the double CD version of "Elvis Golden Records". 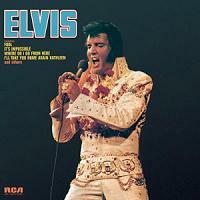 Contentwise it is a mixture of the named album and the much later "Essential Elvis Vol. 2". While CD-1 contains the original album, plus some bonus songs, CD-2 focus on the binaural session from January 1957. Here we get all takes of 'Have I Told You Lately That I Love You', 'That's When Your Heartaches Begin', 'Blueberry Hill' and 'I Beg Of You'. 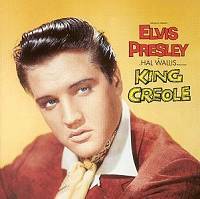 Released now is another FTD version of focusing on "King Creole". While CD-1 contains the original album, plus alternate mixes of masters and a few outtakes, CD-2 simply contains demos that were handed to the session before recording started. 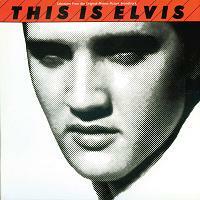 This is this double CD version of "This Is Elvis". First released on LP back in 1981. 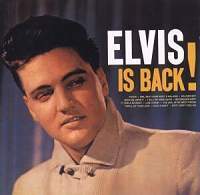 The LP is represented on CD-1, while CD-2 sports music tracks from the expanded home video version released some years later. 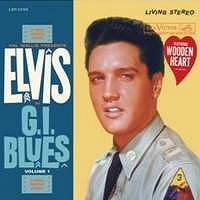 It must be an error when Hound Dog from CD-2 is the same version as found on CD-1, sans overdubbing from 1980. The sound quality is lackluster, and in general it seems that very little effort and care characterize this FTD version. A pity! 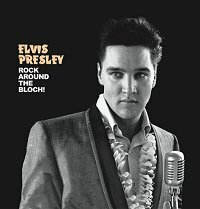 A 288-page hardback book with over 100 unpublished photographs of Elvis in the Bloch Arena, Pearl Harbor, Hawaii on March 25, 1961 and a newly-discovered recording of the complete press conference and awards ceremony held on March 25, 1961. 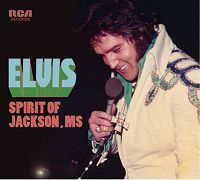 The book also includes the concert on CD, first released on Elvis Aron Presley in 1981. 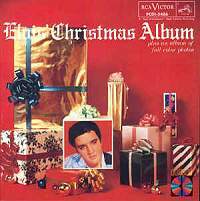 A classic version of Elvis' Christmas Album fits right in December 2014. 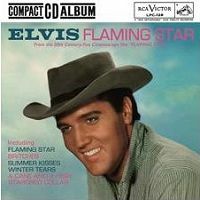 Flaming Star has gotten a classic album treatment. Released in December 2014. 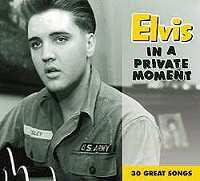 One CD containing masters and several outtakes. In many ways a tough listen. Numerous versions of turkeys like 'Summer Kisses Winter Tears', 'Britches' and 'A Cane And A High Starched Collar'. Even the best numbers are weak in this movie, but we get some new outtakes of 'Flaming Star' and the alternate 'Black Star' too! 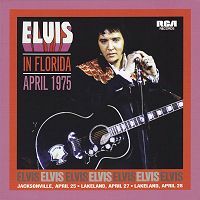 Mainly featuring what was recorded on soundboard tape from Lakeland, April 27 added with several tracks from Jacksonville April 25 and a few from Lakeland, April 28. It comes as a 7" deluxe edition with relevant photos, lyrics and session discography. Released July 2013. This 2 CD release from Follow That Dream contains a soundboard recording from both Tulsa, March 1 and Cleveland, June 21 1974. 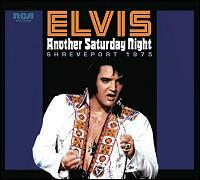 Both shows are previously unreleased, although 'Sweet Caroline' from Tulsa was issued on Forty Eight Hours To Memphis. Also containing some new outtakes of 'Goin' Home' and 'Dominic', while most new outtakes of other songs are mostly false starts only. On two full CD's we get the original album, previously released outtakes and new outtakes. Also outtakes still not made available from bootlegs. Great sound quality! Really a surprisingly good release. Even though all of the content have been available on bootlegs for many years, these two CD gives the songs better justice. I especially like the undubbed masters that concludes CD-2. 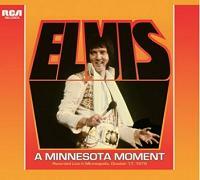 The first official CD release of Our Memories Of Elvis. 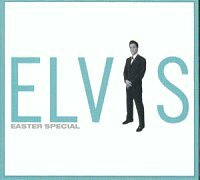 Previously only available on CD from a fan-club release over 20 years ago. Released March 2012. 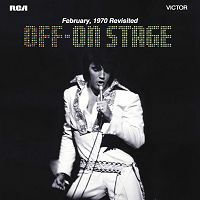 This is the classic album upgrade of "On Stage" from FTD. Released early December 2011. This is a double CD classic album upgrade from FTD. On two full CD's we get the original album, previously released outtakes and new outtakes. Sound quality is great, but it turns out that the complete unedited version of 'Merry Christmas, Baby' is still unreleased. The version found here has been taken from the old Memories Of Christmas. Released early December 2011. The Classic Album upgrade of "Promised Land" from FTD. On two full CD's we get the original album, previously released outtakes and new outtakes. 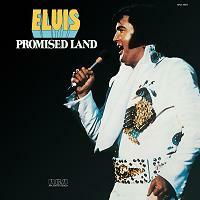 'Promised Land' (take 1) is missing for some strange reasons. The masters have good sonic sound, but the re-issue from year 2000 still has the best mix in my view. Otherwise the outtakes mostly sounds great, just like we have come to expect from these kind of Classic Album releases. Taken from a mono-mix down (tape) of a multi-track recording, the show is complete (w/ some tape damage fixed/altered). Mastered by Vic Anesini! The Richmond show was released long time ago on the bootleg Guaranteed To Blow Your Mind by LuXor, but now comes in better fidelity. It is a great show, but a pity it only comes in mono and way too much echo! Tagged onto the end are three bonus tracks from two other shows in March 1974, taken from soundboard. 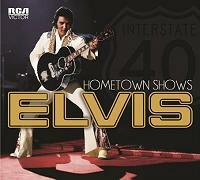 Released in a 7� inch digi-pack with a 16-page booklet containing liner notes and new photos from the show. 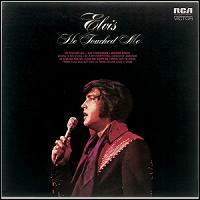 The latest classic album release from FTD focuses on the He Touched Me album. On two full CD's we get the original album, previously released outtakes and new outtakes. All comes in glorious sound quality, just like we have come to expect from these classic album releases. Personally I prefer the almost full session of 'Seeing Is Believing' and 'A Thing Called Love'. The newest book/CD combo from FTD is out. In co-operation with the Norwegain fan-club Flaming Star, FTD has released Fashion For A King. 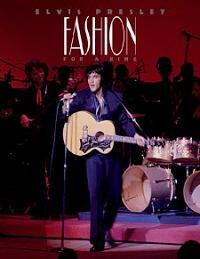 It focus on Elvis' on-stage attire. 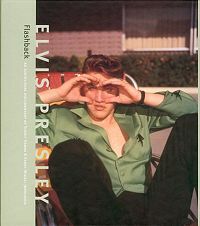 The book contains 500 pages and pictures are taken by already well-known Elvis photographers. 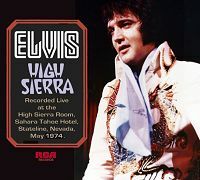 The release also contains two soundboard recordings, one from Omaha, July 1 1974 and the other one from Las Vegas, December 14 1975. The sound quality is great, but too many edits are evident. Songs that are incomplete from start are patched together with a live take of the same song, with audience reaction and everything. A completely new soundboard from 1977 from FTD. 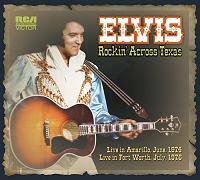 On the Rocking Across Texas FTD released the June 19 1974 show from Amarillo, Texas. Next in line is the March 24 show from 1977. 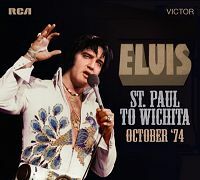 Very little has been known about this concert, and kudos to FTD for deciding to release a show never heard by Elvis fans not being there, either in soundboard or audience recorded quality. The first songs are missing, so the CD starts with 'That's All Right'. The song setup reminds very much about the Charlotte concert from February 21, 1977. Unfortunately Elvis is just barely in slightly better shape here than in Charlotte. Tagged to the end are 10 songs from other concerts during this tour. Soundquality is acceptable, though far from as good as on From Louisiana To Tennessee. A double CD featured studio tracks from 1966 and 1967. Featuring a lot of outtakes, some new, while most have been issued before. Especially So High is well represented! A CD only re-issue of the book/CD combo released several years ago. Comes with new cover, but is not considered as a "new" release pr definition. ...another complete show from August 1969! Mixed and mastered by Vic Anesini - never a drawback, most often a real plus - 4 songs from this show have previously been released. One of them is the giant version of 'Suspicious Minds', featured on Elvis In Person. 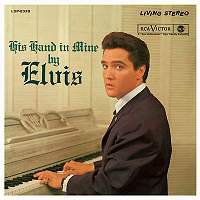 Another is 'My Babe' first issued on Elvis Aron Presley (Silverbox) in a somewhat strange mix, while 'Can't Help Falling In Love' (Elvis In Person) and 'Inherit The Wind' (Collectors Gold) are the rest. 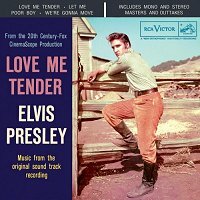 It is also worth noting that 'Love Me Tender' from this show is listed as "master" and that 'Jailhouse Rock' is listed as composite master, spliced with 'Don't Be Cruel' from August 24. None is previously released. 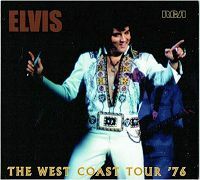 Released in December 2010 is the double CD containing both Chicago shows from October 1976. Previously available on bootlegs, this FTD release adds nothing new. This marks the 3rd soundboard recording from tour number 22 released by FTD in 9 months! 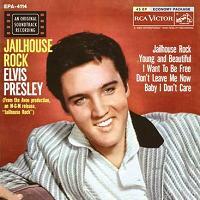 This is the follow up 2-CD version of Jailhouse Rock from FTD. It features all the missing outtakes for 6 songs. 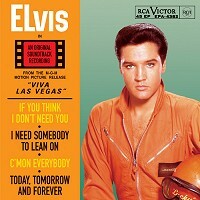 Available from September 2010 Elvis (Fool) is a double CD containing both masters and outtakes. It worth noting that we now - get a new jam version of 'Don't Think Twice, It's All Right'. Also new - though incomplete - are two takes of 'My Way', in addition to outtakes of a few other selections. First issue had an error on CD-2, later replaced by FTD. (Take 11 of 'Padre' was on first release actually take 2). This is the FTD version of the popular bootlegs release One Night Only!. 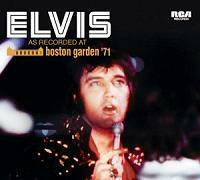 Featuring the show from November 11, 1971 in Boston. Those who are not familiar with the bootleg release are in for a treat. It is a good show in good sound. 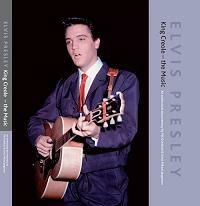 A photobook dealing with King Creole. Photos has been taken from the collection of P�l Granlund. 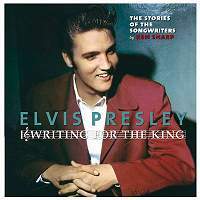 It consists of two main sections; the recording sessions on January 16, 1958 and song scenes from the filming of the movie (including behind-the scenes shots). The CD accompanying the book contains nothing previously unreleased. 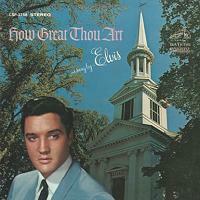 Follow That Dream has released the updated - classic album - version of How Great Thou Art. 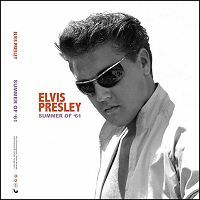 Available from June 2010 it is a double CD containing both masters and outtakes. The 7� inch digi-pack release this time features a 12-page booklet with photographs and memorabilia. It is mastered by Sebastian Jeansson. The sound quality is EXCELLENT! This double CD features two of the most fabled soundboards from 1976. Both the show from Dallas, December 28 and Birmingham, December 29 have previously been out on several bootlegs the last 15 years. The sound quality on the Birmingham show is so-so, definitely not as good as F1rst Time Birmingham, while the Dallas show from the day before comes in the best sound quality so far. 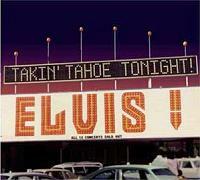 FTD's first 1974 Lake Tahoe show. 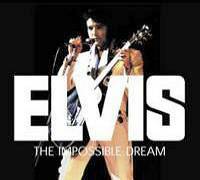 Focusing on the midnight show from May 21 1974, Follow That Dream has decided to release a soundboard not already done available by bootleggers. Always a nice touch! The CD also features bonus tracks from other Lake Tahoe shows the same season. 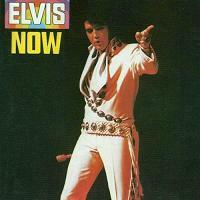 Another classic album series from FTD, this time "Elvis Now". CD-2 contains more outtakes, quite a few previously unreleased ones. Another soundboard from 1976. This time we get one of the fourteen October gigs that made up tour number 22. This tour is well covered with 3 bootlegs taken from soundboards. Both shows from Chicago (Oct. 14 and 15) and South Bend (Oct. 20) have been released. 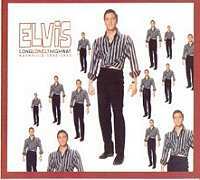 They all display an rather perfunctory Elvis in relatively good physically shape, not necessarily in the best of mood. The sound quality is quite good. 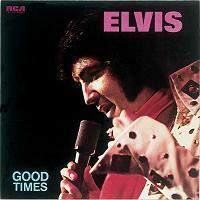 Released early December 2009, this is the updated -2 CD- version of Good Times. It features original masters, undubbed masters and several outtakes. Many of these are previously unreleased. Somehow the power of 'I Got A Feelin' In My Body' are partly lost in this new mix presented here. Not a good thing! 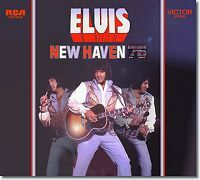 "New Haven '76" contains the complete show from New Haven, July 30 1976. Added is a bonus track from two days later, namely 'Return To Sender' from Hampton Roads, Aug 1. This is a very poor show, as one could suspect after listening to other shows from this tour. 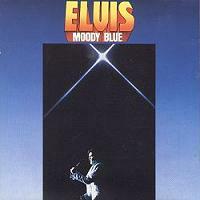 Elvis is very weak in his voice and slightly off-key on several occasions. The sound quality is good, however. A bummer, though with the bonus song that arrives in a very low out-put volume compared to the rest of the CD. 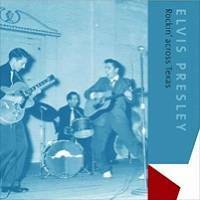 FTD has released the two CD's from the audiovisual release "Rocking Across Texas" as a double 5' CD. The content is exactly as featured on the book / CD release some years ago. This double CD release contains the rehearsal from Hollywood, Aug. 16 1974 and some additional live cuts from August and September later the same year. For some strange reasons FTD has decided to leave out the second rehearsal version of 'It's Midnight'. 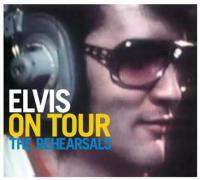 The rehearsal was first made available on the great bootleg From Sunset Blvd To Paradise Rd. The extra live cuts add very little to the second disc. 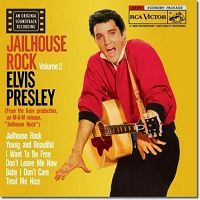 This is the 2 CD version of Jailhouse Rock from FTD. It contains original masters and outtakes on CD-1 and the complete session of three songs on CD-2. Later this release will be followed by another volume. 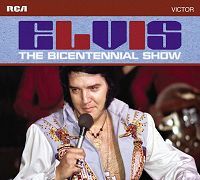 Featuring the dinner show from August 13 1970. Previously several numbers from this show have been featured on different BMG / FTD releases through the years. And recently is was bootlegged by Audionics. The sound quality is of course much better on the official release. Vic Anesini has again made a tremendous job! 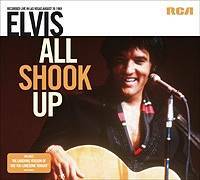 All in all this is a good concert, where Elvis sings several "rare" songs, though he is less focused than on other shows from this season. 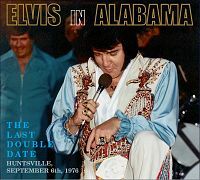 This double CD release contains two shows from Huntsville May and June 1975. Added is some tracks from another two Huntsville show at the same time. All selections have been previously bootlegged in very good sound. FTD adds little new, but is a fine package for non-bootleggers..:-) The sound quality seem to be fine as well. This is FTDs attempt to re-create the abandoned project "Standing Room Only" from 1972. FTD decided to go for the combination of February 1972 live masters, coupled with the March 1972 studio masters. 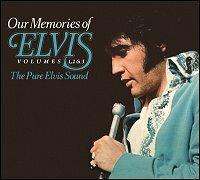 Previously unreleased material applies for March studio cuts and three live tracks ('All Shook Up', 'Teddy Bear/Don't Be Cruel' and 'Hound Dog'). The sound quality is mostly a let down, I'm afraid. 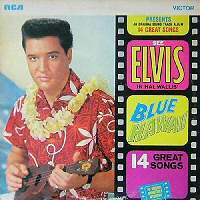 The updated - 2 CD version - of Blue Hawaii. Containing the original tracks and outtakes on CD-1, while CD-2 contains more outtakes. It comes in a 7" deluxe package like other soundtrack album releases on this label. 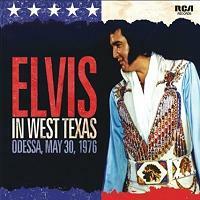 An updated -2 CD- version of Elvis In Person. 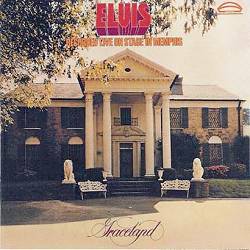 Containing the original tracks and previously released "outtakes" on CD-1, while CD-2 contains the complete dinner show from August 22 1969. 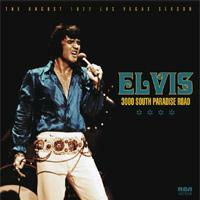 From this show only 'Blue Suede Shoes' has been released (officially) before (Viva Las Vegas (2007). It comes in a 7" deluxe package like other classic album releases on this label. 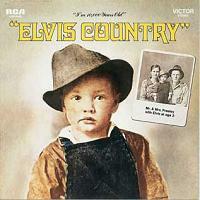 Released in October 2008, this is an updated -2 CD- version of Elvis Country. 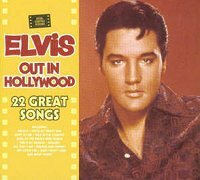 Containing the original tracks and previously released outtakes, it also contains some new outtakes and undubbed masters. Also featuring the alternate master of 'Whole Lot-ta Shakin' Goin' On' with overdubbed horns. The sound quality is good. 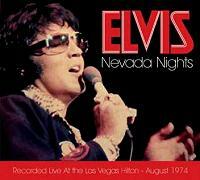 Nevada Nights contains two complete shows from Las Vegas, August 1974. 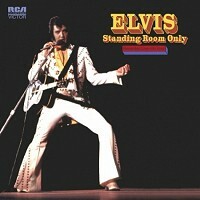 The first CD feature the special opening show, where Elvis decided for a different set-up. Previously available on several bootlegs, first on If You Talk In You Sleep by Fort Baxter, but foremost on From Sunset Blvd To Paradise Rd by DAE. The second disc contains the complete midnight show from August 21. At this stage Elvis has returned to a regular set-up. 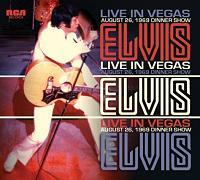 Several songs from this show was made available on Live In Las Vegas in 2001. It comes in a 5" package like the New Year's Eve release several years ago. 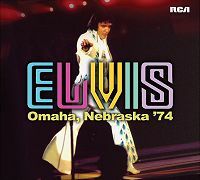 This soundboard CD is taken mainly from the Omaha, April 22 1976 show. This concert has never been out before, not even on a poorly sounding audience recording. Part of the CD has been taken from Spokane, April 27 1976. 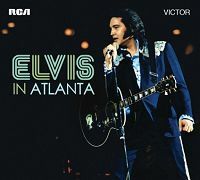 Sound quality is quite good, but the concert itself displays an tired and uninspired Elvis, quite unlike other shows on this short tour. 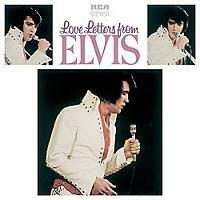 An updated 2-CD version of "Love Letters From Elvis". 36 tracks, including 28 new "takes" and a few undubbed masters takes. An updated 2-CD version of "For The Asking / The Lost Album". 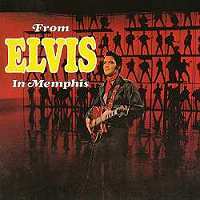 Now re-titled "Elvis Sings Memphis Tennessee". The 2 CD's contains 53 tracks, including 38 new "takes" and a few undubbed masters takes. Comes in a 7" deluxe package like other classic album releases on this label. 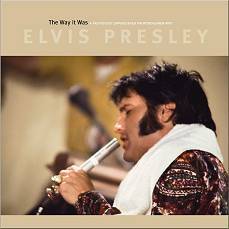 Released in April 2008 is this updated 2-CD version of "That's The Way It Is". 38 tracks on 2 CD's including 29 new "takes", different mixes of master takes and additional rehearsals of some of the songs (7) featured on the album. Released in a 7" deluxe package like other classic album releases on this label. The sound quality on the outtakes is marvelous! 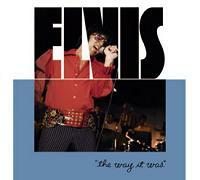 Released in April is also the special release of "The Way It Was". Released several years ago, combined with a book. Probably many fans missed this CD since the total price for both book and CD was very high. Released as a standard FTD digi-pack, the content remains the same as on the original release. 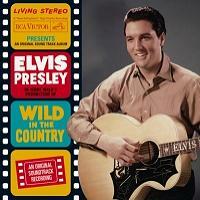 Released in January 2008 is this updated version of the soundtrack to "Wild In The Country". A single CD containing several outtakes of all tracks. Most have been out before, even officially, but several new ones of 'I Slipped, I Stumbled, I Fell' (high-key) and 'Lonely Man' are included. 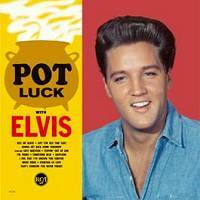 Released in the middle of November is this updated 2 CD version of "Pot Luck". Except for a few outtakes, all content have been previously released. This material has been heavily bootlegged several times. The sound quality still makes it a welcomed effort. Also released in November is an updated version of the "Girls! Girls! Girls!" soundtrack. A lot of outtakes of 'Mama', but also some other ones. 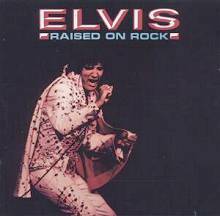 Raised On Rock is a 2-CD feature containing final masters, rough-mix masters and outtakes. 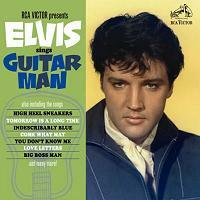 It also contains 4 instrumental tracks, 3 of which Elvis never recorded a vocal to. The sound quality is exquisite! 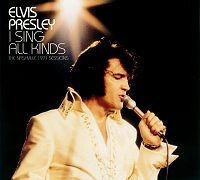 "I Sing All Kinds" focus on Nashville recordings from 1971. 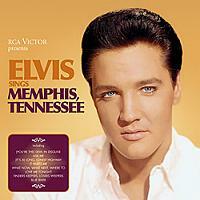 In the same vein as Nashville Marathon, this CD includes several previously unreleased outtakes. A new soundtrack album update! 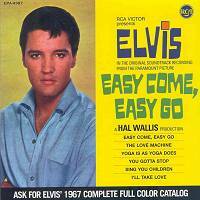 Easy Come, Easy Go contains the newly discovered stereo masters and outtakes, new and old! The sound quality is fine. 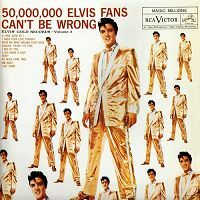 Known as 50.000.000 Elvis Fans Can't Be Wrong or Gold Records Vol. 2. CD-1 contains the original album, plus some bonus songs and outtakes. 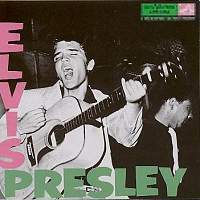 The entire June 1958 sessions are included on CD-2. The main part of this release was recorded on February 15 Midnight show. It has been taken from multi-track tapes. We also get other recordings from February 14 to February 17, some of which have been released before. As a bonus FTD has included several songs from the opening show on January 26. These have been taken from a soundboard source. The mixing of the multi-track recordings is (thankfully) quite different from what's found on Writing For The King, however not perfect! 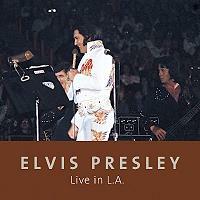 Live in LA is the title of a book and a CD that focus on Elvis' shows in LA in the 70's. 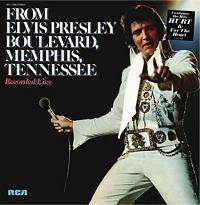 The main part of the book concentrates on Elvis' evening show at the Forum Of Inglewood on May 11 1974. The CD contains a soundboard recording of this show, plus two bonus songs from the Swing Auditorium in San Bernardino the day before. Sound quality is only fair, with a painfully high bass. As a bonus an audience version of 'You Can Have Her' is included at the end. "Unchained Melody" contains the Charlotte show from February 20, including a good version of the title track. 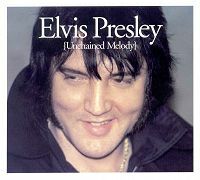 And what does Elvis say right before 'Unchained Melody'? "I like to..sit by the piano...because we are recording this live..."
The sound quality is pristine! The 3rd book project by FTD quite surprisingly features live tracks from 1969 to 1972. All of it is previously unreleased. The sound quality (mix) goes from good to fair to weird (extremely poor mix on 'Words'). CD-2 sports 26 demos sung by different performers, some by the author of the song. The book then? Well, some 400 pages of interviews (more than 140!) and behind the scenes stories. 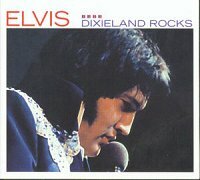 Like the first ever release on the FTD-label, this CD focus on material from the '68 Comeback Special production by NBC. This time both studio outtakes and a jam session from June 24 are featured. The Jam session was released on a bootleg called From Burbank To Vegas ages ago. BMG has also previously released 'I Got A Woman' from this rehearsal on their Platinum and 'When It Rains It Really Pours' on Memories. 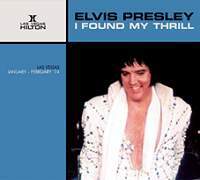 "I Found My Thrill" mainly contains a Las Vegas dinner show from January 27, 1974. Tagged onto the end are some bonus tracks from other shows. 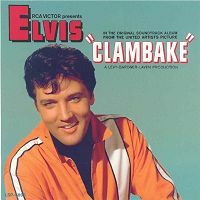 An updated version of the Clambake soundtrack was released early in July 2006. Containing 25 tracks, among them several previously unreleased outtakes. Some of these have been widely available on bootlegs, however. 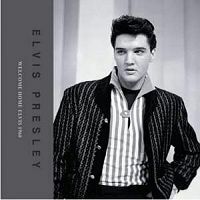 The classic albums update of "Elvis Presley". 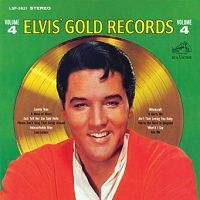 It features the original album and lots of outtakes, mainly of songs like 'Shake Rattle & Roll', 'Lawdy Miss Clawdy', 'I Want You, I Need You, I Love You'. All found on two CD's at the price of one! 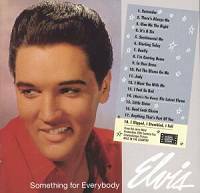 The classic albums update of "Something For Everybody - FTD Extra issue (25)". Like other updated albums it comes in a 7' gatefold cover with a 12-page booklet. 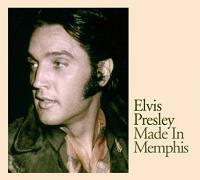 "Made In Memphis" contains songs from five sessions, two in 1969, two in 1973 and finally one in 1976. In addition several tracks from a home recording made at Lisa Thompson's home in 1973 are added. 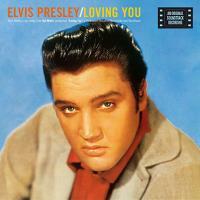 This updated version of the Loving You soundtrack was released on January 4, 2006. Containing two CD's, where CD two contains all takes of two of the 'Loving You' versions. Some featured in both mono and stereo! 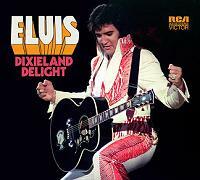 The first standard release from FTD in 2006 is a mixture of concerts songs from Spring 1975. All taken from soundboards. 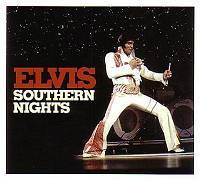 Several of the tracks are coming from the Huntsville shows in May and June 1975. This CD contains a soundboard recording from the dinner show from August 11, 1972. Blazing Into The Darkness, which is said to contain this specific show, actually contains the dinner show from August 12, instead. Also added are some bonus tracks from other concerts. Featuring the complete concert from August 1969. 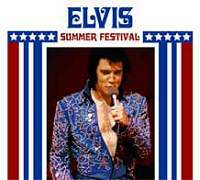 It was on this concert that Elvis sang the famous laughing version of 'Are You Lonesome Tonight'. 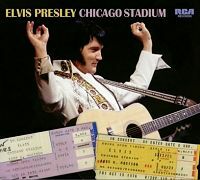 Five songs from this concert were released on Collectors Gold. 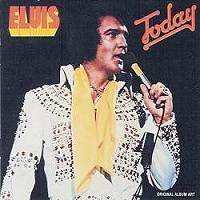 This is the updated Elvis Today album. 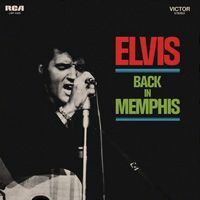 It comes in the same format as Elvis Is Back (2 CD). 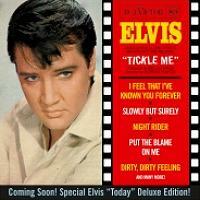 FTD actually released an updated version of the "Tickle Me" album. 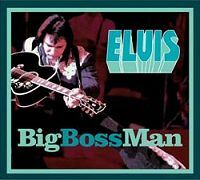 Big Boss Mann contains a soundboard recording from March 28, 1975. Unfortunately FTD has wrongly dated it to come from the dinner show two days later. 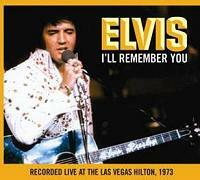 We have already heard three songs from this concert on the Las Vegas box. The soundboard is almost complete. In addition several bonus tracks from other March concerts have been added. This is the updated version of Elvis Is Back. Featuring two CD filled with masters and outtakes. A lot of the material has been released before, but there are several new takes (mostly fs) as well. The book contains two CD's, both soundboard recordings. The price is ridiculously high! 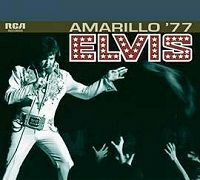 First out is a soundboard from Amarillo, taken from June 19, 1974. On bootlegs we have had 3 soundboards covering this tour. The other CD contains a concert from Forth Worth, July 3 1976. This last CD has very good sound quality! 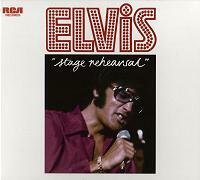 This CD contains rehearsal material from On Tour, March 30 and 31 1972. This material has been heavily covered by bootleggers through the years. Though this new release will contain a version of 'Young And Beautiful', not previously known. The material is taken from RCA tapes, not the MGM tapes that we are already familiar with. Hopefully this news also means that BMG in the near future will release another complete concert from April 1972! 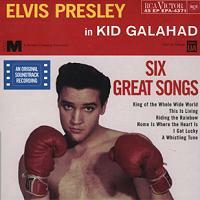 The soundtrack of Kid Galahad. Also this one features many outtakes, several of them previously unreleased. 27 tracks in total, but no alternates of the second version of 'I Got Lucky'. 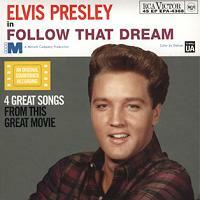 Containing the soundtrack from Follow That Dream. It features many outtakes, several of them previously unreleased. This session has been issued in splendid sound on the bootleg Keep Following That Dream. 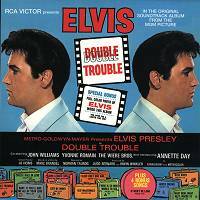 The updated version of the Double Trouble soundtrack. Except from 'Old McDonald' we get alternate takes and versions of all recorded material. 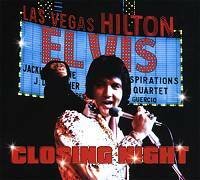 The closing night show from Las Vegas, September 3 1973. 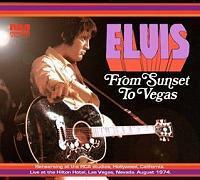 Many Elvis fans have waited for this show to be released from a soundboard recording. The soundboard is not complete, so the first 7 songs are taken from the dinner show the same day. 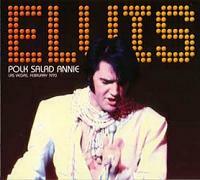 Polk Salad Annie contains live performances (mostly) from the midnight show on February 15, 1970 and some bonus tracks from other dates. 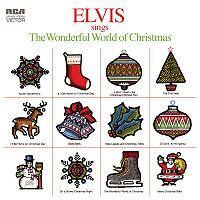 The sound quality is very good, but unfortunately Elvis' vocal performance is sub-par on several tracks. The updated version of Paradise Hawaiian Style. A lot of this material has already been out on different bootlegs, but not always in the best sound quality. "Flashback" contains 172 pages with several unpublished pictures, 285 in all. 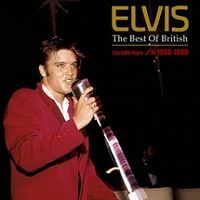 It also contains a CD with outtakes from the years 1956 to 1958. The price and format is the same as the The Way It Was. 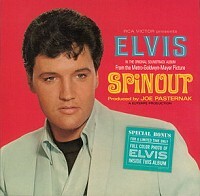 The updated soundtrack from Spinout. This marks one of the few times FTD releases a CD with nothing new for those who are familiar with bootlegs. All songs from this session have been released in great sound on The Complete Spinout Sessions. This concert has screamed for a decent release since 1974. It is out now in updated sound. 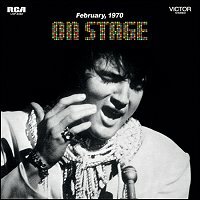 Live On Stage In Memphis from 1974 was a poorly produced LP containing Elvis' show in Memphis on March 20, 1974. Several songs were edited out, and the sound quality (artificial audience reaction included) left lots to be desired. 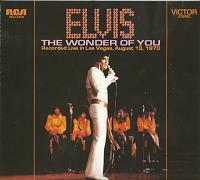 Many Elvis fans, myself included rate this concert as one of the best released by RCA during Elvis' lifetime. Volume 20 in FTD regular release program. This CD focus on the dinner show from January 28 (previously unreleased also on bootleg) and the midnight show from the same day (released on bootleg). To fill up the gaps, BMG has added some tracks from the opening show from January 26. Added is also 'Snowbird' from the dinner show on January 29. This CD contains tracks from 1966 to 1968, including many outtakes from the How Great Thou Art sessions. 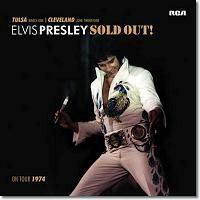 This CD marks a temporary end to the batch of releases of Nashville material from the 60's. 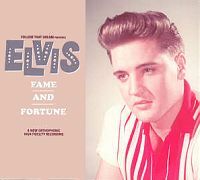 Earlier on the FTD label we have gotten Long Lonely Highway, Fame And Fortune and Studio B, Nashville Outtakes. 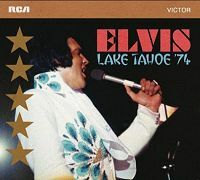 This fourth FTD release for 2003 is a soundboard recording from Lake Tahoe, May 13 1973. 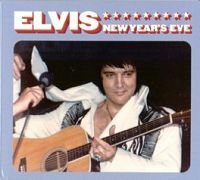 Elvis held a special extra show on 03:00 am. The show has been released on various bootlegs, most recently on The Man In White Vol. 4. However, this is the first time from a soundboard source. The soundboard is almost complete. The CD also contains two extra numbers from another show. The sound quality is very good. 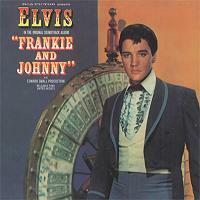 Out now is this updated version of the Frankie And Johnny soundtrack. Containing several outtakes never released officially before, though all is available on high quality bootlegs. 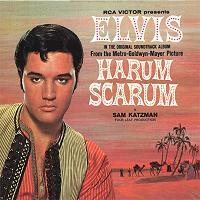 Out now is this updated version of the Harum Scarum soundtrack. Containing several outtakes never released officially before, even some not released on bootlegs. 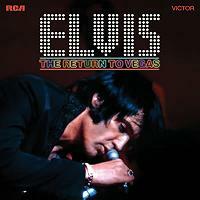 Out now is this updated version of the Viva Las Vegas soundtrack. Containing several outtakes, most previously released. This third FTD release for 2003 features a soundboard recording from South Bend, October 1 1974. In general it is a poor performance! In addition three tracks are taken from other soundboards. Included is a new "song", called 'All Right, Okay, You Win'. The second FTD release for 2003 is a studio CD. 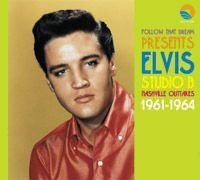 It covers Elvis' non-movie sessions at RCA's studio B in Nashville. The time period is June 1961 through January 1964. Featuring 23 tracks of previously unreleased (officially) material. Almost all songs have been released in top-notch sound on different bootlegs. The CD first contains the original LP soundtrack. In addition you will find 14 bonus tracks, 9 of which has never been released officially before. The sound quality is very good all the way through, except for a rather scratchy acetate recording of 'Take Me To The Fair' from August 30. The CD first contains the original LP soundtrack. In addition you will find 12 bonus tracks, 8 of which has never been released officially before. The sound quality is very good all the way through. The CD first contains the original LP soundtrack. However, 'Fun In Acapulco' does not fade out on this CD. It plays to the very end. In addition you will find 14 bonus tracks, 8 of which has never been released officially before. 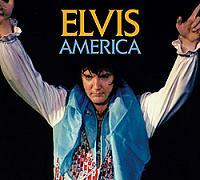 FTD has now released an audience-recorded version of Elvis' concert in Pittsburgh, December 31 1976. This show has been released on several different LP's and CD's over the years, using different sources. BMG adds to another one! The complete show is released on a double CD. 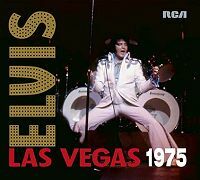 This time we get another live concert from Las Vegas 1969. August 23 midnight show to be exact. 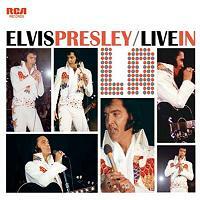 Many fans have wanted another live show from 1969, August 26 in particular. Except from 'Reconsider Baby' (prev. released) this show offers nothing new or remarkable. The sound quality is very good. 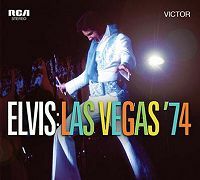 Again we get a live concert, this time from Las Vegas 1975. 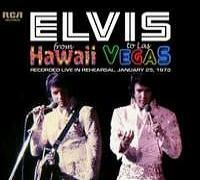 FTD found a reel to reel recording of the dinner show from December 13! 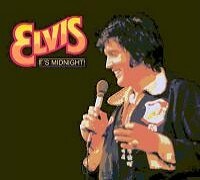 The midnight show from December 13 was released on the bootlegs Just Pretend several years ago. 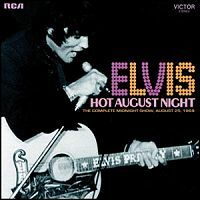 Elvis was vocally top-notch at this time. Kathy Westmoreland's 'My Heavenly Father' has unfortunately been axed. 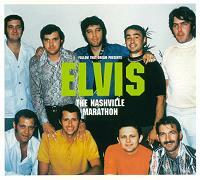 "The Nashville Marathon" features 20 tracks from the June and September 1970 sessions in Studio B, Nashville. 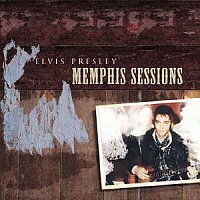 These sessions produced many great songs, but also several sub-standard ones. A lot of those last mentioned are featured on this CD. All tracks have been severely re-mixed. This extra release from FTD contains several tracks from the spring 1977 tours. These recordings made by Felton Jarvis produced 'Unchained Melody', 'Little Darlin'', and 'If You Love Me'. Here are the rest! 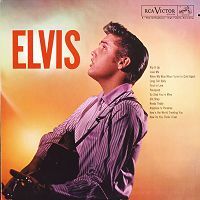 Volume 12 on the FTD label contains studio material from March 1960 to March 1961. This is one of the best releases so far on the FTD label! Volume 11 in the FTD series again focus on a soundboard recording, more specific the August 24 Midnight show, with several songs added from the dinner show 5 days later. On bootleg and official soundboard releases we already have several songs from August 19, 21, 30 and September 2. 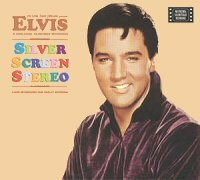 This 26-track extra issue CD called Silver Screen Stereo features different movie songs. All selections are in stereo. Sound quality is tremendous. 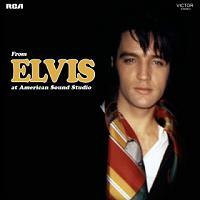 Memphis Sessions, FTD vol 10, features several outtakes and undubbed masters recorded in American Sound Studios 1969. This CD is a smasher. The sound quality is good, but again lacking ambience, as we are used to now from BMG. Why should good mixes from Ferrante be destroyed by Reidels remastering...a pity! 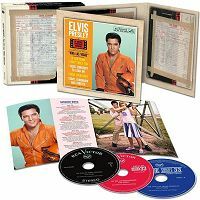 Both a 96-page book with several previously unseen photos from the movie 'That's The Way It Is' and a CD containing several unreleased tracks, both from rehearsals and live performances. The price is shockingly high! 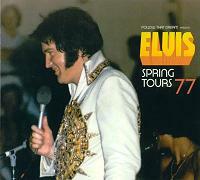 Volume 9 in the FTD series contains the majority of a concert Elvis held in Murfreesboro, May 1975. Strangely FTD choose to add two tracks after 'Closing Vamp'. This is an extra issue from FTD. The content is nice, the producing is disastrous! This is volume 8 in the series. 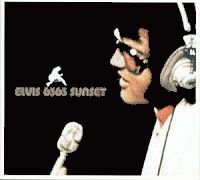 Focusing on Elvis in Hollywood in the 70's. 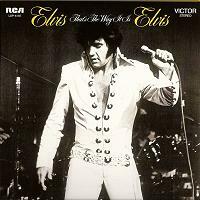 Elvis recorded in Hollywood in March 1972 and in March 1975. Thankfully nothing to do with movie songs! Volume 7 in the series, and perhaps the best so far! This is the (almost) complete opening show from August 10, 1970. This extra release focuses on the 1980 overdub session. This is the sixth release in the collector's label program. It also means the first soundboard CD from BMG in over 20 years! This is the fifth release in the collector's label program. It features songs from various sessions during the 60's. This is the forth release in the collector's label program. 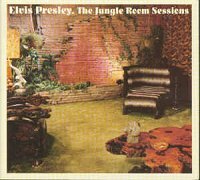 Finally a CD with outtakes from the Jungle Room Sessions in 1976. This is the third release in the collector's label program. 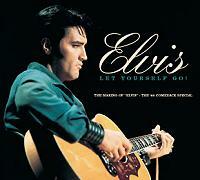 Focusing on several home recorded songs and a kind of follow up to Elvis - The Home Recordings. This is the second release in the collector's label program. 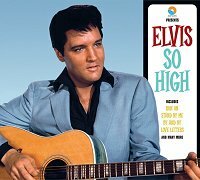 Focusing on different movie songs recorded by Elvis. This is the first release in the collector's label program. Focusing on the "68 comeback special". Rehearsal and live performances.